This antique cash register stands guard over all transactions at a lovely little French restaurant called "L'Ambiance" in a section of Montreal that boasts many fine antique shops. For "Texture Tuesday" I have further enhanced the vintage feel with a texture by Kim Klassen entitled "Ben's Collection 6". Photograph enhanced with Kim Klassen's "Ben's Collection 6". 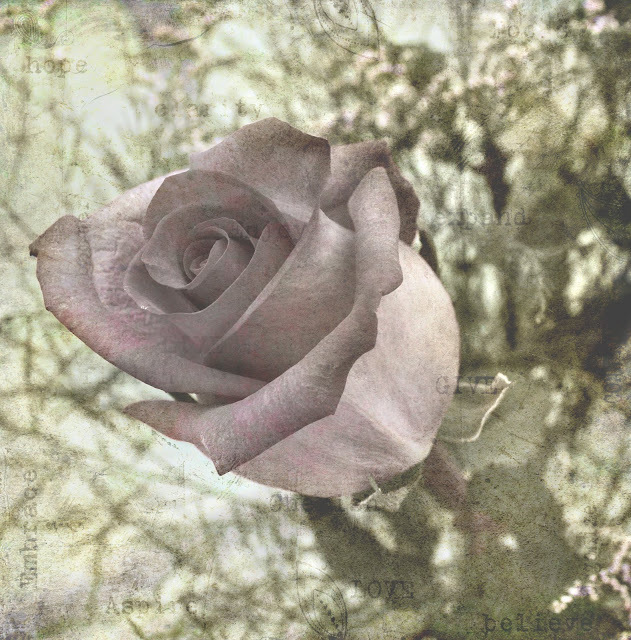 This photograph is aged with Kim Klassen's 'One Word Texture'. To download my latest free texture click HERE, or simply scroll down to my previous post. 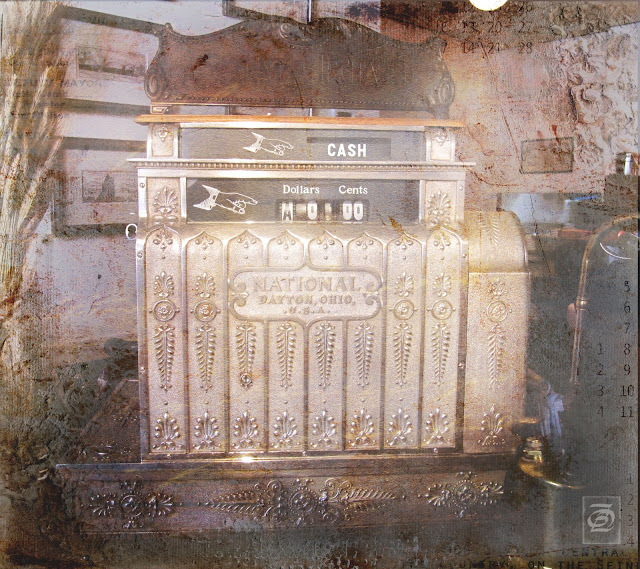 That cash register is lovely! And the texture added some more "old world" feel to it. Thanks for stopping by my blog. Great vintage color! I would love to stumble upon a register like that. Great work. Beautiful vintage feel. I like your cool tones. What a nices pictures, happy to be folling you now. What a wonderful piece of history.Love the textures on it and the rose. I'm so glad Stickup Artist sent you to my blog because that has led me to yours. It's great to find another kindred soul who loves to treat her photos to Photoshop baths, floods, washes, scrubs...well, you get the picture. I intend to visit here regularly. Plus, we have a Montreal connection, I think. Really beautiful. These textures are full of poetry.